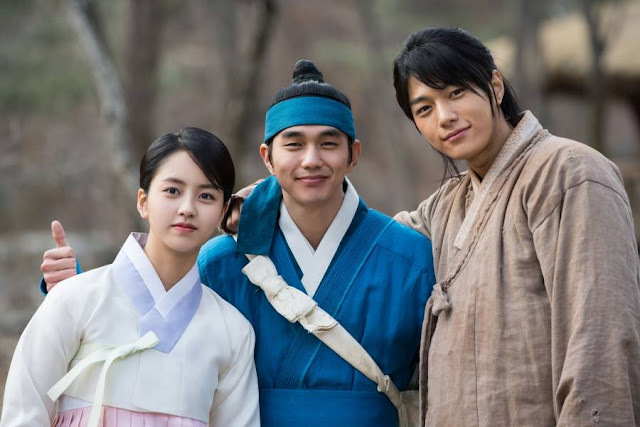 Yoo Seung Ho, Kim So Hyun and Infinite's L (Myung Soo) are finally back with new drama, The Emperor: Owner of the Mask which aired on Oh!K, Astro Channel 394 on every Thursday and Friday at 7.50pm. Many have been excited since the announcement of the cast line-up as the drama not only has the love-line story between Yoo Seung Ho and Kim So Hyun but also the bromance story between Yoo Seung Ho and Myung Soo. So without further ado, let's check out the main casts and the director's interview. 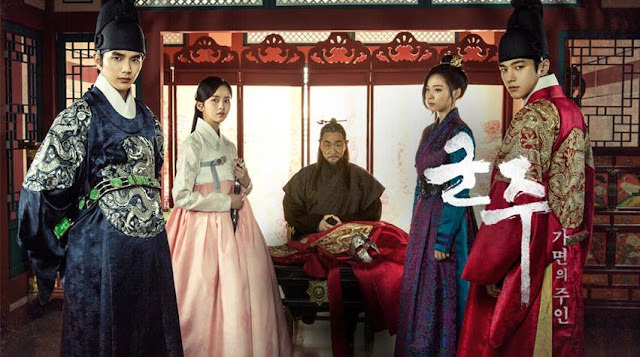 Q: Yoo Seung Ho (YSH) and Kim So Hyun (KSH), could you please tell us how your acting skills in The Emperor: Owner of the Mask will be different from your previous works in relation to your characters. 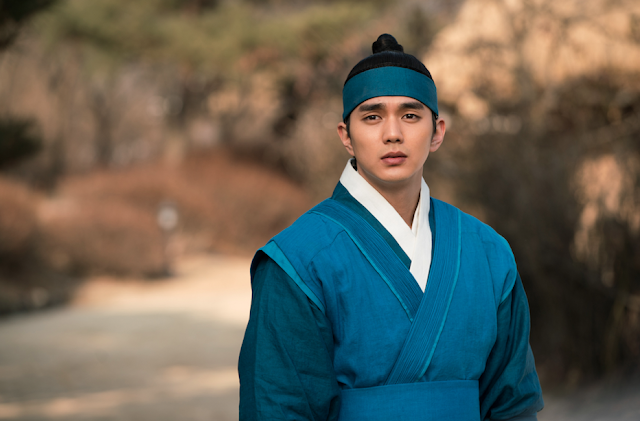 YSH: It was a challenging journey for me to convey the emotions as a Crown Prince in Emperor. I had to express very complex emotions as the Crown Prince who has been living his life wearing a mask without knowing the reason for it. When he discovered the truth about it and realised that so much sacrifice had been made for his sake, he probably would have felt overwhelmingly frustrated and maybe angry as well. The only way for me to depict the Crown Prince effectively was to be faithful to the character as it is written on the script. I have done a lot of research to ensure that my character, the Crown Prince, comes across as a more attractive and relatable person to the viewers. After discussing it with the director, we wanted the audience to sympathise with the character, feel his sadness and share his joy in successfully taking his revenge at the end. KSH: I have appeared in many different period shows. Although it is assumed that my character would be very similar to those in my previous roles, I tried not to focus too much on it. I will lose direction with my character if I am focused on my previous roles instead of concentrating on my current work. So, I stay focused on my character, Han Ga-eun, the Emperor and I do my best to be immersed into the drama. Q: Kim Myung Soo (L), this is your first challenge in doing a period drama, what kind of preparations have you made for your first role in a period drama? L: To prepare for this period drama, I watched many period movies and dramas including Masquerade and Kwanghae: The Man Who Became the King. I play the role of a guy who belongs to the lowest class in society and later in the drama, I become the king. So, I practised a lot to make the transitions as smoothly as possible. Q: After the news broke out about the drama casting, fans became excited about this great-looking couple, Yoo Seung Ho and Kim So Hyun and expectations ran very high. Could you please tell us more about the chemistry between the two of you when you met for the first time and how you two felt about it when you heard the news about casting decisions? YSH: Both of us had experiences as child actors and it felt like I had known her for a long time. When I met her for the first time, although she is six years younger than me, I could not speak to her in a casual manner without using Korean honorific. As she seemed very mature, it felt like she was much older than I was. It was great working alongside her. KSH: When I met him for the first time, I initially felt a sense of familiarity with him. As the both of us have been acting since we were children, we have been watching each other’s work over the years. However, it had been such a long time since I had seen him last, so it was very awkward and I felt really nervous as well. I thought he was a very shy person, but once the shooting began, he became so playful. He was a really attractive actor so we had great chemistry on the set. We are having so much fun shooting this drama together. Q: No Doh Cheol PD (PD), I think the combination of Yoo Seung Ho and Kim So Hyun is very good. I wanted to know why you decided to cast them. PD: I always wanted to cast Kim So Hyun as a lead actress playing a high school girl ever since I was making preparations for a romantic comedy titled Mermaid. When my plan did not work out, I still wanted to work with her no matter what happens and I also believed that she would be a good match with Yoo Seung Ho. So far after observing both of them on set, I think Yoo Seung Ho has not found a way that allows him to show all of his charms. However, in my opinion, I dare say that this role of Crown Prince will become the character of his lifetime. I believe that this character will enable him to show diverse aspects of himself and you will be surprised to discover so many different types of charms he has to offer. Kim So Hyun, on the other hand, is a very intelligent actress. She is able to provide us with many feedback on set and help each other out. 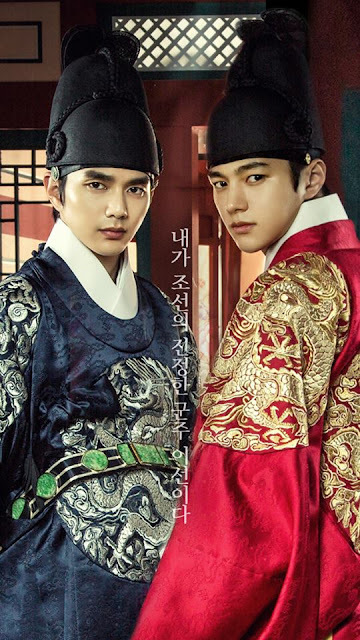 Q: In the drama, the relationship between Yoo Seung Ho and Kim Myung Soo is similar to that of The Prince and the Pauper. What is the chemistry between you two and can we expect an ardent bromance of the Joseon dynasty? YSH: We had excellent chemistry from the start. 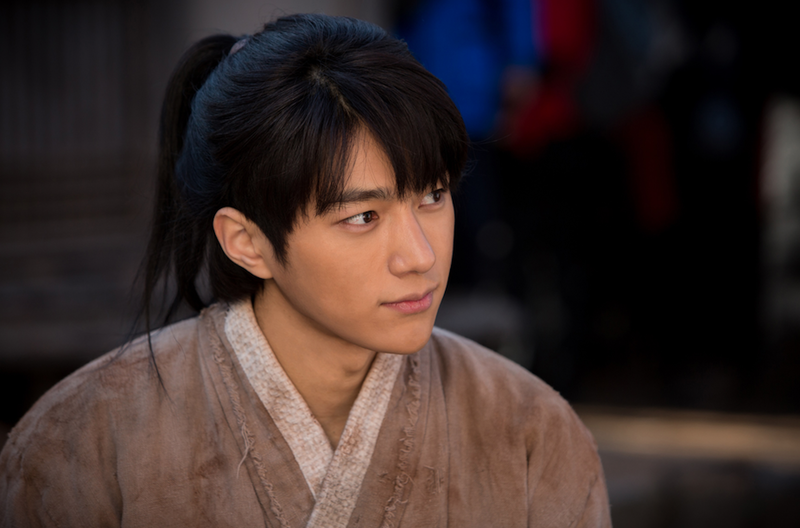 By nature, Kim Myung Soo a very bright person, so he created an amicable atmosphere on set and led us really well. In the drama, the melodramatic story with Kim So Hyun would naturally be the biggest fun factor you can look forward to. However, while we were shooting the drama, I found the current relationship with Lee Seon of the lowest class very interesting. L: In terms of bromance, I think I cannot share anything definitive but as you watch the show you will notice a friendship between the two of us. There are many such scenes and as the drama progresses, our conflicts and other factors will become apparent as well. Q: Yoo Seung Ho and Kim Myung Soo, in the drama, your characters have to wear a mask, were there any difficulties when you were wearing a mask in the drama? YSH: When we wore the mask, only our eyes and lips are visible to the audience. Although I only found out about it, later on, no matter how hard I tried to express my emotions, be it with tears, laughter or anger, not even half of the emotions were delivered on screen due to the mask. Thus, during filming, I would be overacted and oftentimes go overboard so that viewers will be able to see my emotions. L: Wearing a mask to deliver facial expressions was difficult but controlling my gaze was more difficult. There were many scenes where I made more efforts to be more expressive with the mask on. When we were wearing a mask, it creates a charm of its own in terms of appearance and it also exudes some kind of special vibe. Crown Price Lee Sun (Yoo Seung Ho) who always been living in a hidden life, where a stand-in pauper faces the crowd in his place. While he tries to unveil his identity, Lee Sun falls in love with Ga Eun (Kim So Hyun), a woman who is seeking revenge against the Price for killing her father.